After reading several non-fiction books on writing, I needed a break and decided to read a short story I picked up in February. “Lucent Sylph” by R.J. Conte chronicles a defining period in the life of Lucas Thissel, a twenty-fourth century teenage boy. Lucas becomes the unintentional champion of Nissa, an alien glass fairy that survives on love. But the bond between humans and Lucent Sylphs is delicate. Too much love or too little kindness from Lucas and Nissa will die. The interesting premise and engaging characters of Lucas and Nissa lured me in. I enjoyed learning about the Lucent Sylphs and seeing Lucas’s and Nissa’s bond grow. And the ending... well, I’ll leave that for you to discover. 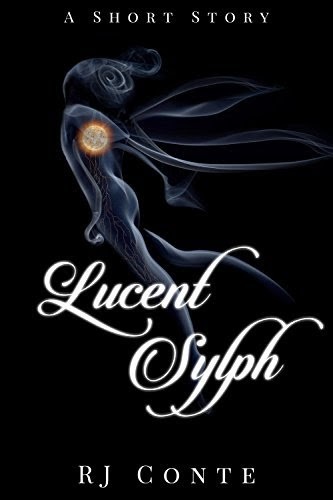 If your looking for a short read that offers an intriguing look at love and loss, check out “Lucent Slyph”. That does sound like an interesting read! Being able to explore ideas, like amount of love, is on the strengths of fantasy and science fiction. What a unique premise! I don't think I've come across a story like that. Thanks for sharing, K.A.! Thank you so much, K.A. Cummins! I appreciate this!